Mamadou Diabate is a virtuoso musician from Burkina Faso, West Africa. As well as being one of the world’s top percussionists, he is an exceptional instructor. 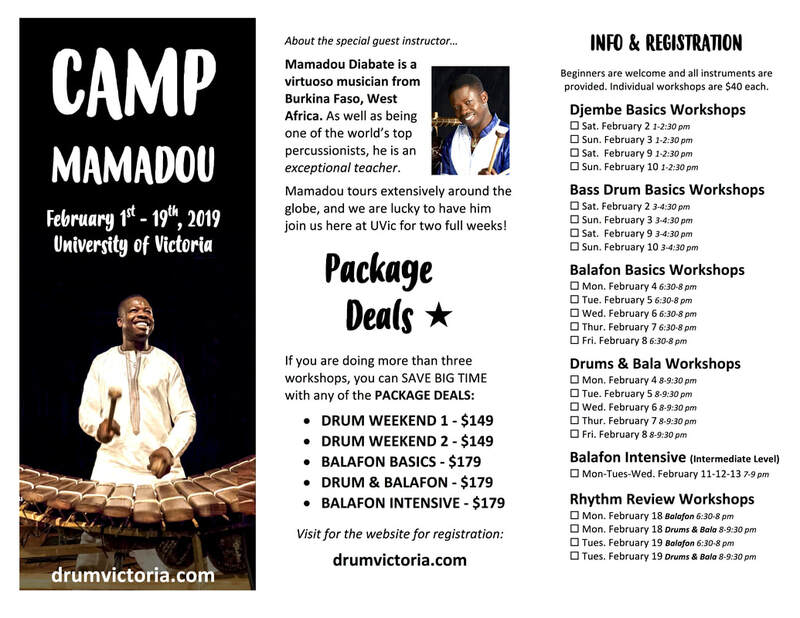 Mamadou tours extensively around the globe, and we are lucky to have him here in Victoria for more than two full weeks! Learn to play African percussion under his expert guidance. Djembe - Bass drums - Balafon. Beginners welcome for most workshops, and all instruments are provided. 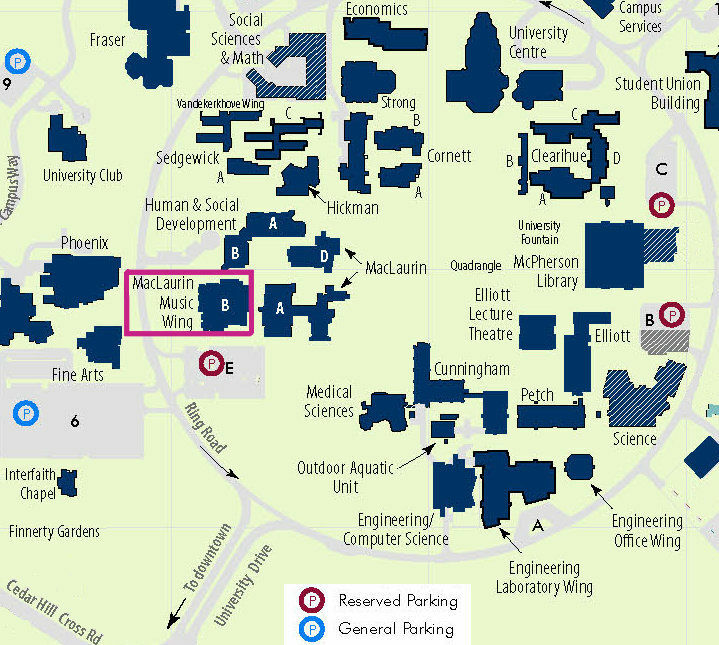 We are mainly holding the workshops in room MacLaurin B016 (or occasionally in MacLaurin A166 or A169). There are some workshops that will take place in the Senate Chambers (University Centre, A-Wing). 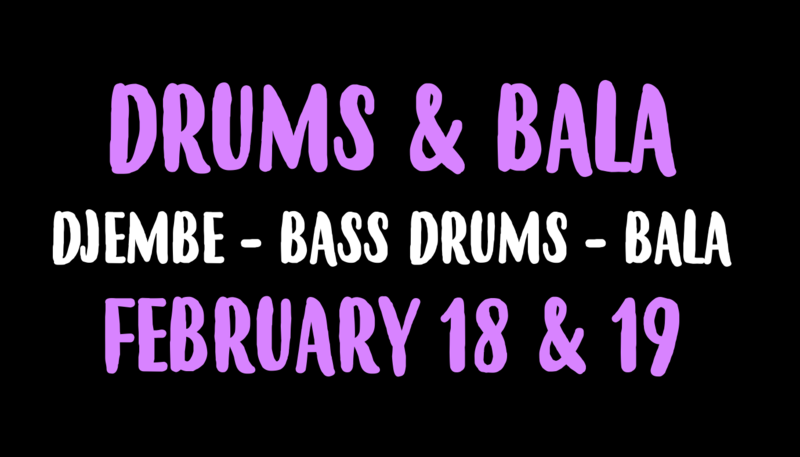 Your choice of learning djembe, bass drums or balafon. 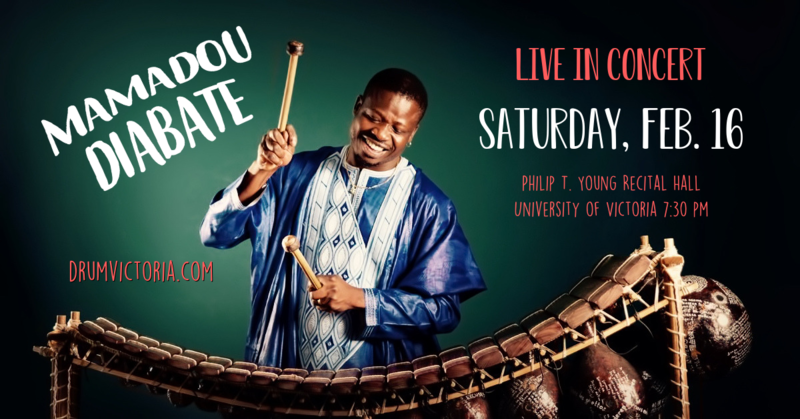 Mamadou will show how to put all the parts together to create ensemble rhythms. Beginners are welcome and instruments provided. 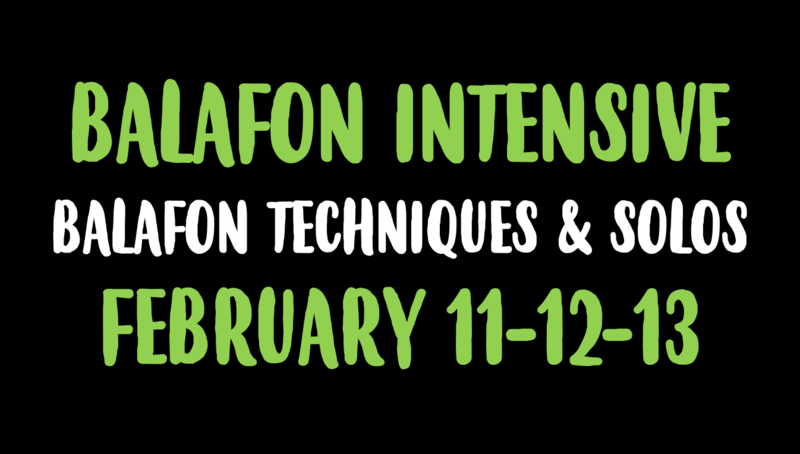 For students with some balafon playing background who would like to explore more complex patterns and solo phrases. This will be a more advanced set of three workshops. Please check if you are unsure of your level. 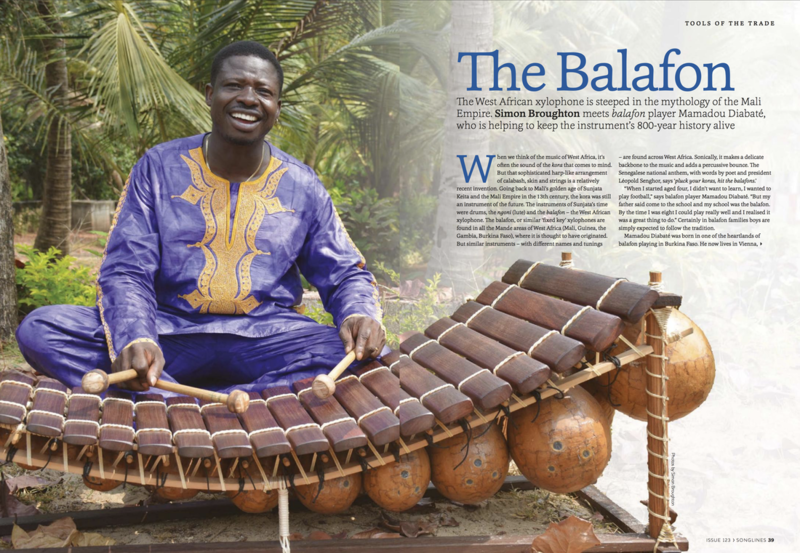 Learn to play balafon, a beautiful traditional wooden xylophone from West Africa. No previous experience required. Mamadou will start from the very basics. Balafons provided for all workshops. Your chance to learn!! 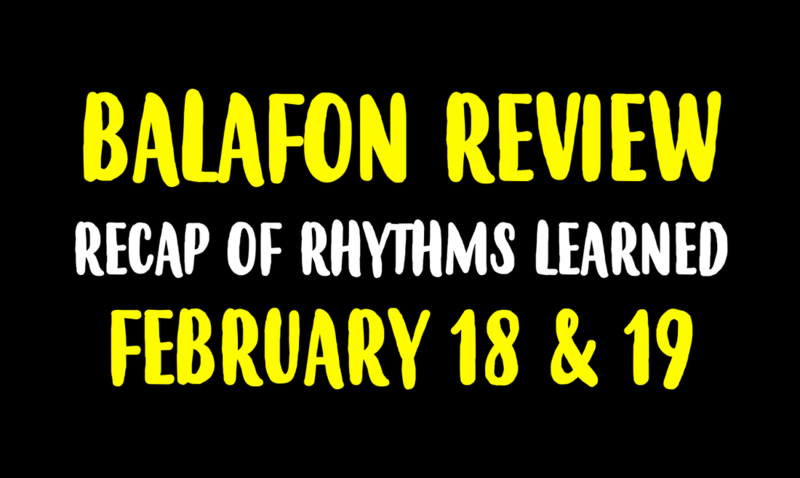 A re-cap of the rhythms learned to help you check your patterns on balafon.This will also will be a moment to ask advice from Mamadou on how to advance your playing. 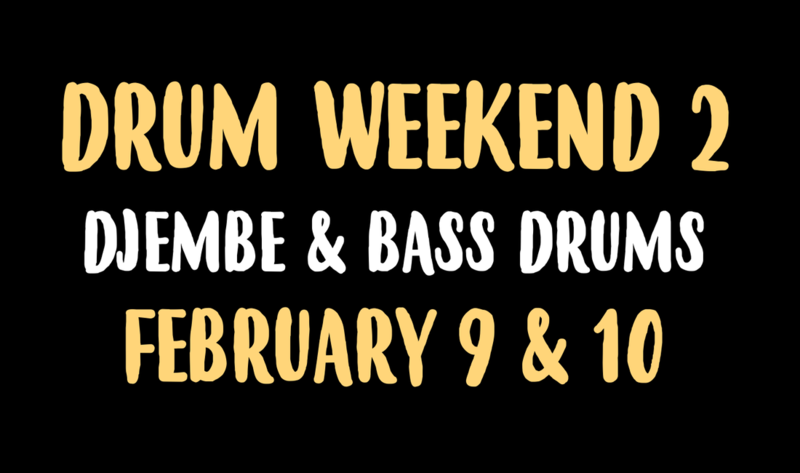 Mamadou will teach you basic djembe patterns and bass drum patterns, plus arrangements for his rhythms.Beginners are welcome & drums are provided. The rhythms taught will be different from the first weekend. 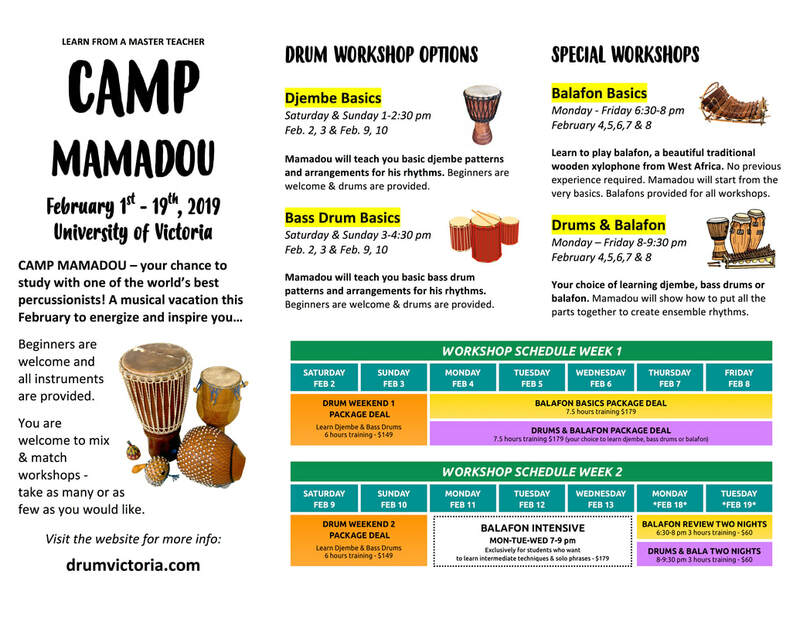 Final set of ensemble workshops scheduled before Mamadou finishes the camp. This is when we put all the music together and enjoy the results!! !